Orifice is defined as the small opening on side or bottom of a tank through which any kind of fluid is flowing. The opening can be of circular, triangular or rectangular in cross section and they are named on the basis of shape accordingly. 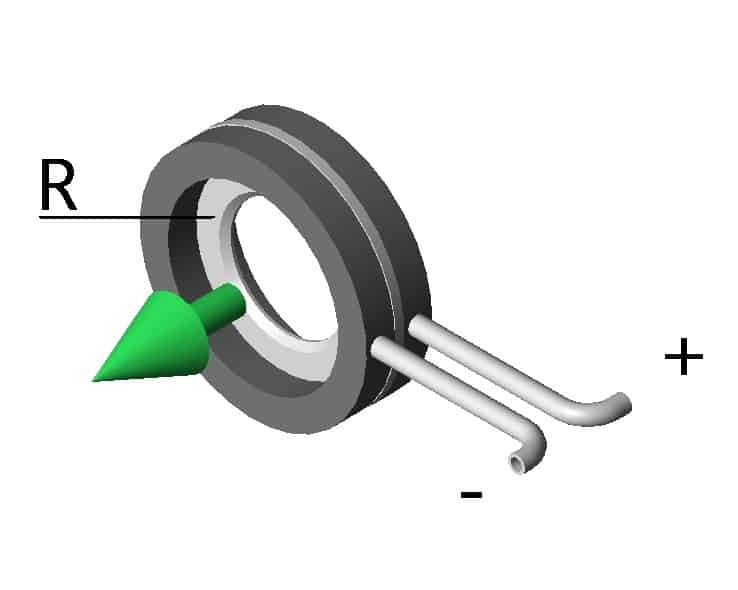 Orifices are mainly used for measuring the rate of fluid flow. Nature of upstream edge etc. Classification based on shape: Orifices are classified into small orifice and large orifice depending upon the size of orifice and head of fluid in that orifice. Small orifice is the one in which has the head of fluid from the centre of orifice is more than five times the depth of orifice. Also the large orifice is the one which has the head is less than five times the depth of orifice. Submerged orifice: They are also further classified as fully submerged and partially sub merged orifices. Consider a tank with a orifice on its side as shown in figure: Let h be the head of water from the centre of orifice. 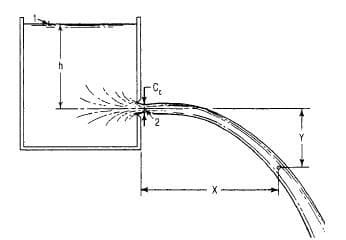 The water flowing through the orifice forms a jet of liquid whose area of cross section is less than that of the orifice fitted on the side of tank. The area of jet will gradually decreasing and at a section C, area is minimum. At this Section the streamlines are straight and parallel to each other and perpendicular to the plain of orifice. So this section is called Vena-contracta. After this section, the jet diverges and it then attracted by gravity to the downward direction. Also the actual velocity will be less than this value due to various losses. Generally the value of Cv varies from 0.95 to .99 for different orifices depending upon their size, shape, head etc. for calculation purposes we assume the value of Cv as 0.98 generally. 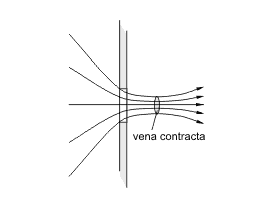 It is the ratio of area of the jet at vena-contracta to the area of orifice. It is generally denotes by Cc. Where ac is the area at the vena-contracta and a is the area of orifice. The value of CC varies from 0.61 to 0.69 depending upon the size, shape and head of orifice in which flow takes place. In general the value is taken as 0.64. The value of Cd varies from 0.61 to 0.65. In general the value of Cd is taken as 0.62 for all calculation purpose.